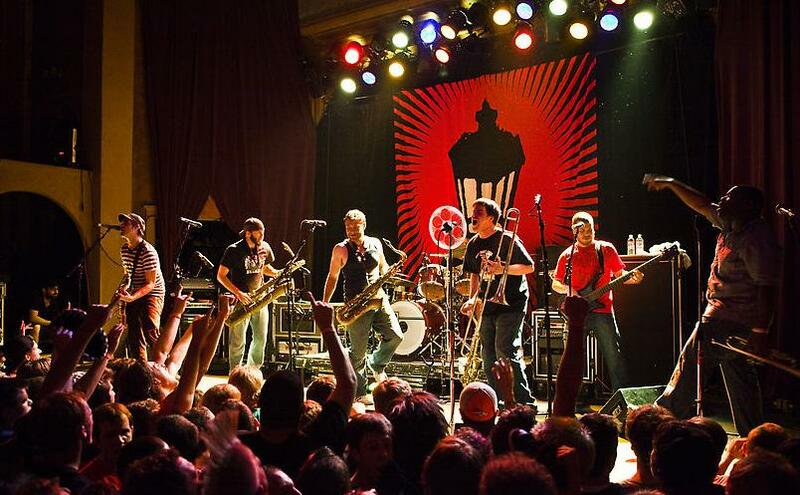 I'm getting ready to head out on the road with "Streetlight Manifesto" for the next couple of months. A Punk/Ska/Rock band with 4 horns, Streetlight is definitely a departure from my usual gigs. That said, it's probably the hardest gig i've ever played: HIGH energy, LONG sets in HOT venues, and it's nothing but SCREAMING trombone/vocal parts. It's a lot of fun, the guys are great musicians, and the travel is comfortable (bus tours). Another great thing about the Streetlight gig is the fans. They know every lyrics/horn line and sing (scream) along while we do our thang, it definitely gets you pumped up. There's a lot of stage diving and mosh-pit action as well (which honestly just scares me, I have to dodge kids so I don't get smacked in the teeth). Check out the tour dates on my schedule, and this video of Streetlight at the Reading Festival in England over the summer. Listen for the crowd singing the horn lines at us!